Hi, I’m Pocket! My name ensures that I’m impossible to search for on the web! Pocket showed up after I picked up my Kobo and updated it for the first time in a year. Normally, I don’t like things I didn’t ask for being pushed on my personal devices, as they nearly always benefit the corporate bottom line more than they do me. But this thing’s a gem. 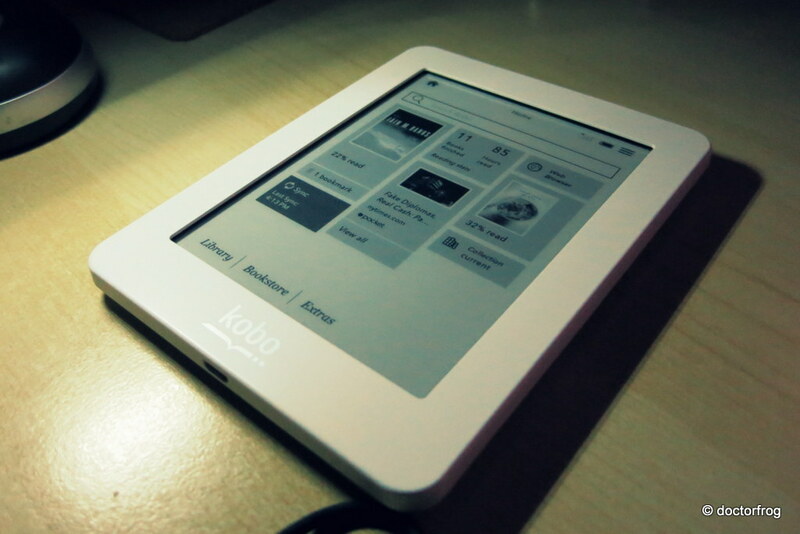 Pocket syncs articles to my Kobo so I can read them offline. Crucially, it doesn’t do anything else. This is simple and wonderful. I hate reading long articles on my phone or PC, and browsing the Internet on an e-reader stinks. I usually have twenty tabs eternally open on my PC’s browser, articles I generally struggle to finish reading. Now, I just click a thing and next time I turn on my Kobo, there it is. Stripped of ads and other nonsense, to boot. Man, that’s useful. I know what’s going with me on those Sundays at the coffee shop. 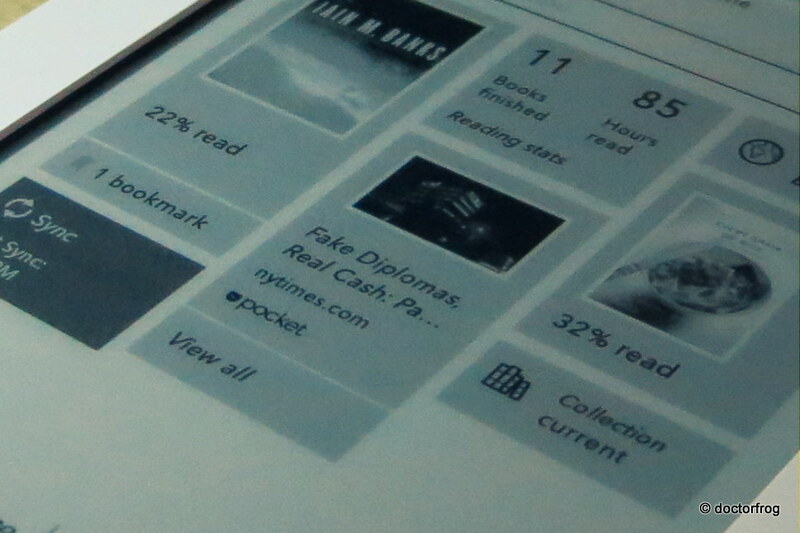 Newest Kobo firmware uses tiles, the center one there takes you to Pocket.